I want to shout out to a festival that I've never been to that's happening this weekend-- it's KindieComm, which will be happening in Philadelphia this weekend (March 20-22. I'm sadly not breaking my perfect record of two years in non-attendance. It's not that I don't want to go. It's not that I don't even have a couple of legitimate reasons for going. I just can't swing it. Or, to put it another way, if I swung that, I'd have to not swing some very important other things in my life. 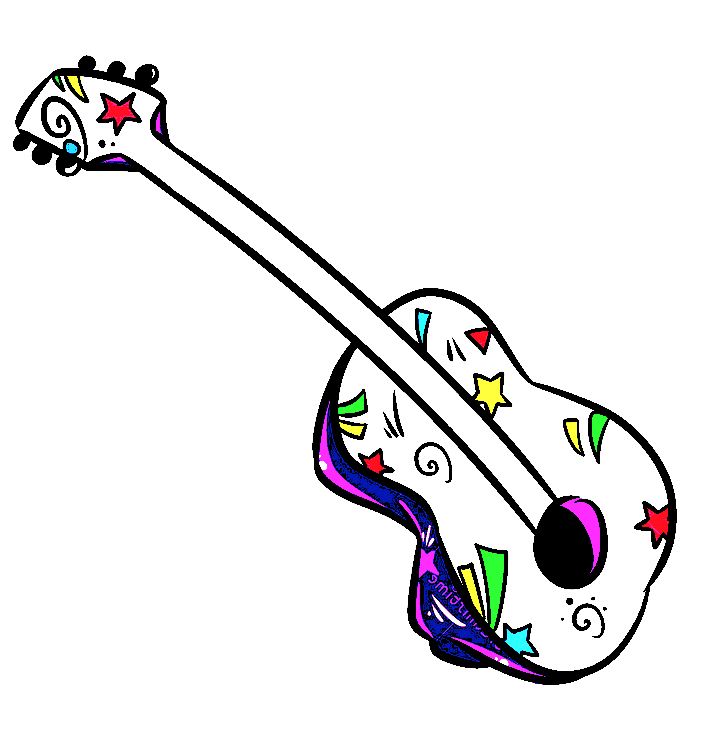 It's a gathering of Kindie musicians, bloggers, fans, agents, radio hosts, and everybody else that's interested in the Independent Kid musician business/area of art. Now I hear you saying: "But Adam, I'm an ardent follower of your blog, and you went to a festival just like this a couple of years ago, didn't you? Or am I crazy?" Yes, I did, and no you aren't. 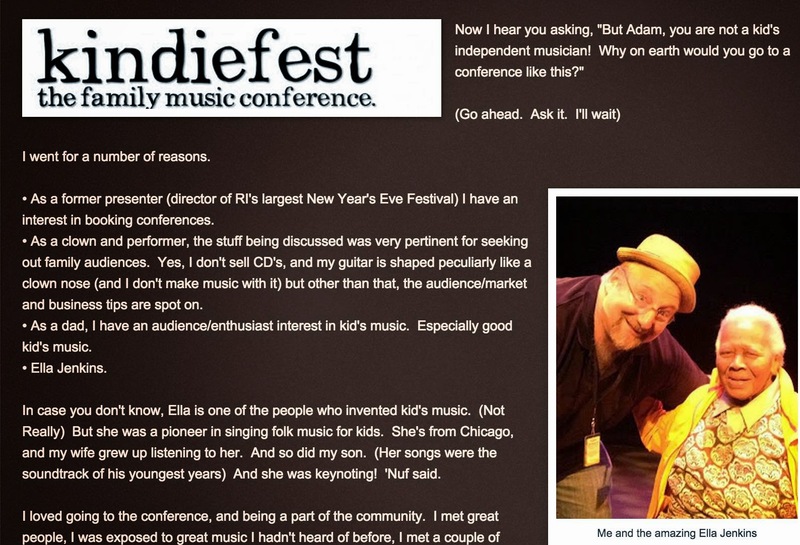 I went to the progenitor of KindieComm, called KindieFest, and you can read all about why in this previous post. there, but I will not. It turns out, that first KindieFest that I went to was the last one ever. I hope I'm not a jinx. In its place, KindieComm. Different wonderful producers, same wonderful musicians, same wonderful concept. 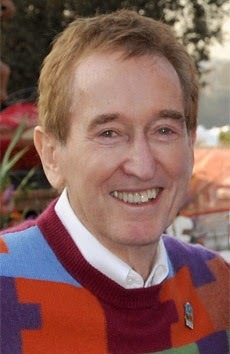 This year, Ella Jenkins won't be keynoting again (in her place is the inestimable Bob McGrath of Sesame Street), and lots of great music. And musicians. And of course, dad blogger extraordinaire and a huge writer about all things Kindie, Mr. Jeff Bogle. If you are in the Philly area, the website says there are still tickets. And even if you don't want to go to the conference part and hobnob with the musicians, there's a Sunday Public concert featuring three super great bands-- The Pop Ups, Joanie Leeds & The Nightlights and The Not Its! With a special guest star Tim Kubart from the SunnySide Up Show on Sprout. Here's where you can buy tickets and find out more information. Maybe I'll be there next year! I've included some Amazon links so that you can listen to Joanie Leeds, The Not Its, and the Pop Ups. And Ella Jenkins, of course. Enjoy!